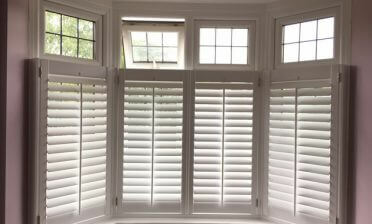 This month we fitted some of our shutters to a new build property in Bickley, Kent. 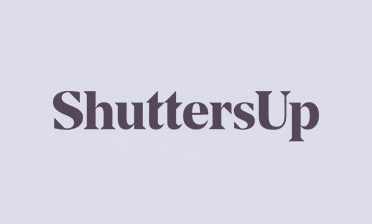 The owner required shutters to help create privacy and also added security to an area of the home that was facing a communal car park. 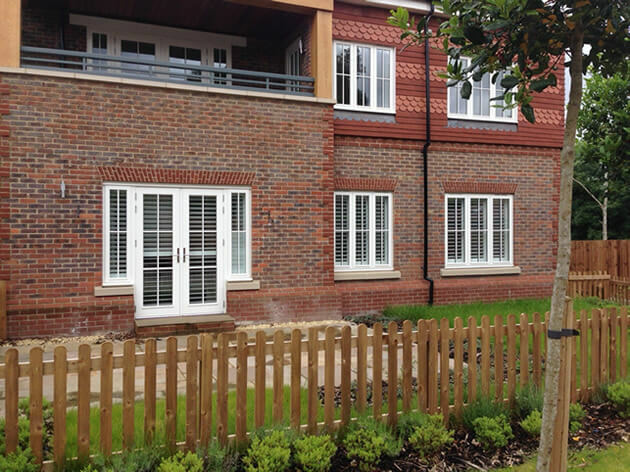 Not only did these shutters help make this side of the home more private but further enhanced the modern chic look of this new building. For this window and door shutter installation we used shutters from our hardwood Cuba Range which are all full height, with the door shutters being fitted with a mid-rail. 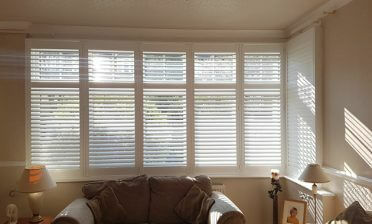 The client also opted for our hidden tilt rod system which makes for a really clean look. The louvres in these shutters are 89mm and were finished in the colour pure white which matches perfectly with the door and window surrounds. We then installed them using matching white hinges.